Reliance Nippon Asset Management, the first asset management company to get listed, is the third largest AMC with assets under management of Rs 3.84 trillion. Reliance Nippon AMC's Rs 1,540-crore IPO was oversubscribed 81.54 times. 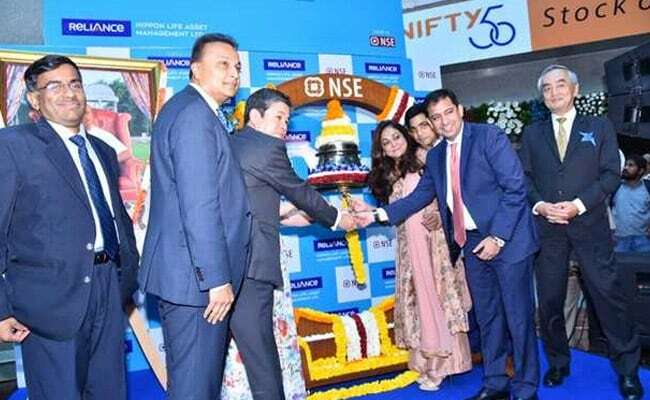 Mumbai: The Anil Ambani Group controlled Reliance Nippon Life Asset Management (RNAM), which got listed on Monday with an over 17 per cent premium, said it will focus on profitability and organic growth. Shares of RNAM were listed at Rs 295.90 on the NSE, a premium of 17.42 per cent over the issue price of Rs 252. Within minutes of listing, the stock touched a high of Rs 299 and then hit a low of Rs 278. RNAM, the first asset management company to get listed, is the third largest AMC with an AUM of Rs 3.84 trillion. Its Rs 1,540-crore IPO last month was oversubscribed 81.54 times. Noting that the equity market has been doing well for the past three years, he said, "Our focus will remain on profitable growth as the mutual fund industry has high percentage of institutional and money market. We will continue to focus on retail investors and categories, where there is lot of profitability for shareholders." Sikka said RNAM has large cap, mid and small-cap products in its portfolio and going forward it will launch more products. The company, which has 171 branches across 135 cities, plans to increase the network to 500 branches in the next three years, primarily in small towns, to increase penetration, he added. "The mutual fund market is very attractive and we will continue to invest in future," Nippon Life Insurance vice- chairman Takeshi Furuichi said. Commenting on shareholding pattern post-IPO, Sikka said both the promoters are holding equal share. As per the Sebi rule, the minimum listing has to be of 10 per cent and within three years, it has to be diluted up to 25 per cent. Reliance Nippon Life AMC enjoys an 11.4 per cent market share and as of end August, its AUM stood at Rs 3.84 trillion across mutual funds (Rs 2.3 trillion), managed accounts (Rs 1.53 trillion) and offshore funds and advisory mandates (Rs 2,223 crore). This was also the first IPO from the Anil Ambani-led group after Reliance Power in 2008. Other listed firms of the group include Reliance Capital, Reliance Home Finance, Reliance Communications, Reliance Naval & Engineering and Reliance Infra.